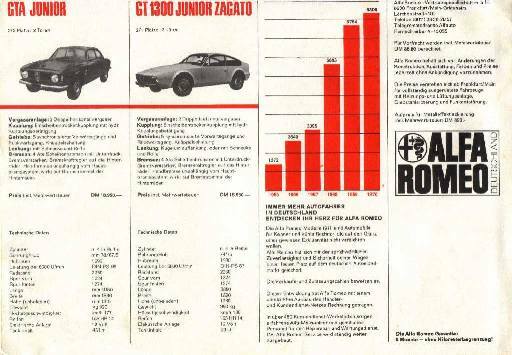 Below you will find a scan of a vintage 1971 price list showing the Bertone GTA Junior and the GT 1300 Junior Zagato next to each other. In that year, the Bertone was DM 18.950,= and the Zagato only DM 16.950,=. Thanks to Carlo Laven for the scan.